We Want To Hear Your Story And ALL About Your Dreams! Our director has shared with us the importance of being eager to listen to other entrepreneurs as they describe their dreams, their hopes and also their failures or shortfalls. By listening to each other and sharing the insights and experiences that we all have, there is always the opportunity for breakthroughs and massive amounts of sudden progress. Our director witnessed many breakthroughs whenever there were open sharing of ideas among people. SDK Hunter Consulting Group has made a sincere commitment to assist serious entrepreneurs to make the progress that they need and to do so in as relentless a fashion as we can. So, it all begins with you telling us what projects you are focusing upon now and what problems you are attempting to solve. 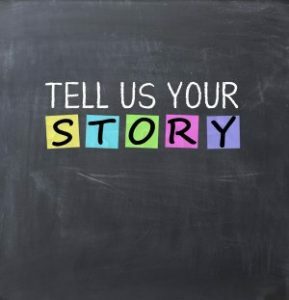 If you need us to assist you by sharing your story with our readers, let us know what you have in mind. If we can relate to your goals and what you are working towards, we are willing to review how we can best assist you. Sometimes, a bit of exposure will be all that is needed. In other instances, you may need us to make an introduction to an associate who has expertise that you need. Whatever we can do begins with us being willing to listen. So, complete the form below and describe what you are doing and what you may need in order to make more progress. So, it will only have a chance of happening, if you are willing to tell us your story.